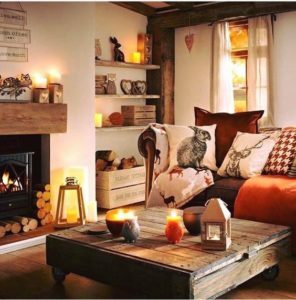 When it starts to get colder outside I always get the urge to make my home look and feel more cosy. 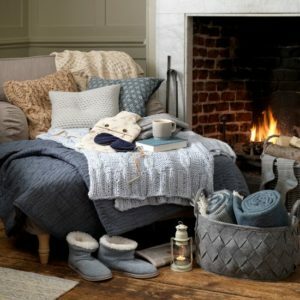 I love just being at home when it’s raining outside and curl up in a cosy blanket and watch TV all day with my cats…so I feel like my home has to feel as cosy as possible. 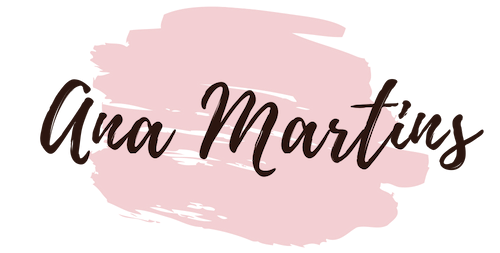 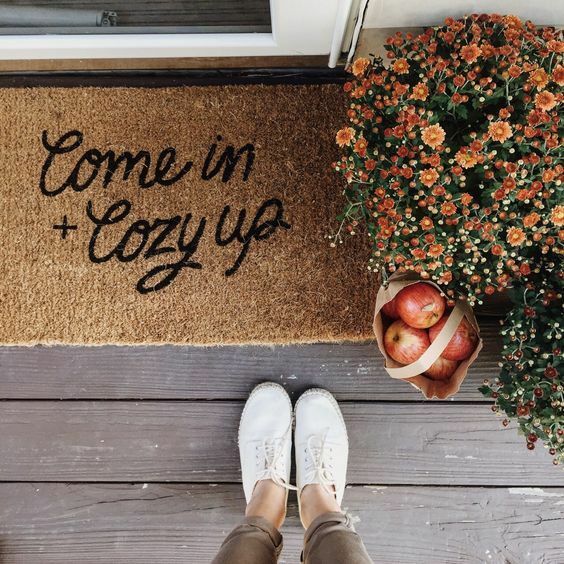 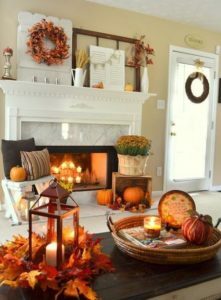 So I want to share with you a few tips that will help you cosy up your home for Autumn. 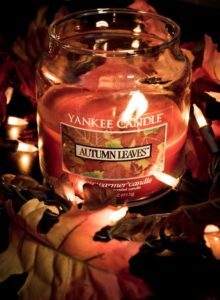 I like candles any time of the year, but I like them even more during the cold months. 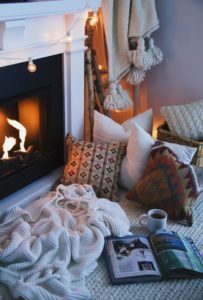 Fire always makes you home feel more cosy, and since I don’t have a fireplace, I feel like candles give me the same feeling. 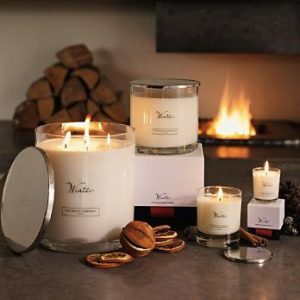 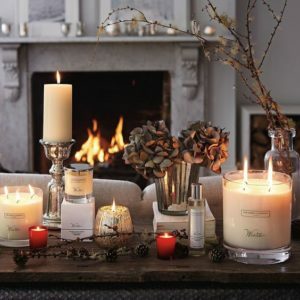 Also, at this time of year, you can find all kinds of Autumn scented candles, so not only the look of them makes your house look cosy, but their scent helps as well. 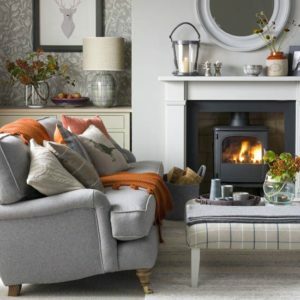 Warmer and darker colours look more Autumnal, and if you opt for the ones you can find in nature, even better. 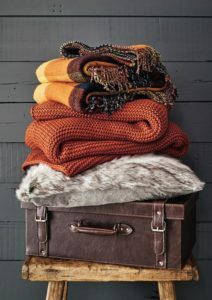 Consider the dark greens, orange, mustardy yellows, terracota, browns, etc..
Like I said before, curling up in a blanket is one of my favourite things to do when I’m at home during Autumn, so textiles are super importante to make me feel more cosy. 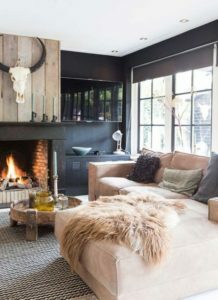 Having a mixture of different textures is ideal, but there are some textiles that “feel” warmer then others, so opt for those. 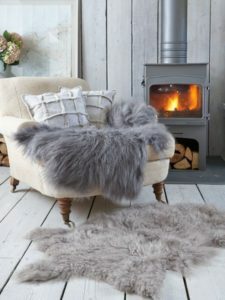 Still related to textiles, don’t forget the faux fur. 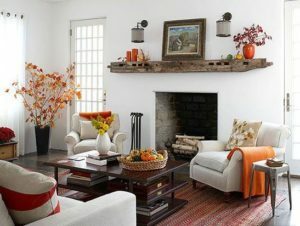 It is very trendy right now, but what I like the most about it is how cosy it makes any space look. 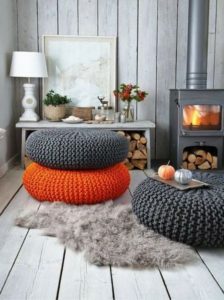 So consider introducing a few furry items like blankets, rugs or cushions. 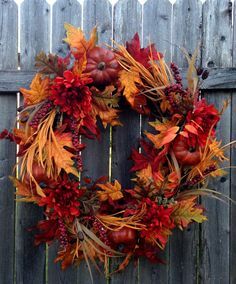 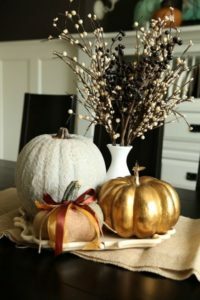 And if your goal is to make you home look very very autumnal, consider introducing a few objects that are allusive to autumn, like leaves, acorns, pumpkins, etc..